It was a summer night. Cicadas burred from ends of branches. Pixies rolled, tittered in their leafy beds. Silver-limned clouds passed over a porous, bloated moon. The little town in the valley kept silent, wrapped in mist. Far over town stood an austere, hilltop tower. Ivy and wasps' nests blotted the black eyes of its windows. Creepers cracked the greening brick, nearly covered the narrow door. Bats peeped and flittered about the craggy roof. Three figures climbed the tree-spotted path which wound to that tower. One, trailing cigarette smoke, spoke. "Hork," she said, flourished a commanding palm. "Pass it, mate." The bespectacled Hork tucked away a sweaty lock, jiggled a squat whiskey bottle. "S'pose." She passed it over. "Horkheimer, you're putting that down like spice tonic," * said the third, a lank-haired boy swinging a half-brick in a sock. He grimaced. "I worked for those pence." "Listen," said Hork. "If you can't call me Yselde, you certainly can't use my last name." "What Hork is saying," said the first, wiping her mouth. "Is that she despises her family name." Hork rolled her eyes. "Where'd you nick those pence, anyway, Jan?" "Who says I nicked them?" said the boy. "You nicked them," said a puff of smoke, handed away the bottle. "So little trust, Dere," grinned Jan, taking it. "But, yes, I nicked them from Professor Ottleston's desk." "Ottleston keeps coin in her desk?" "Doesn't seem to have been a bad idea to me," said Jan, tipping back the bottle. Brown liquid sloshed in the neck. "You know what's a jolly bad idea?" said Hork. She pointed up the hill. "This shite." "Horky Dearest, if we're to run off to Draum** and be cutters, we need to find some monsters," said Dere. She puffed, frowned at some doxbells fleeing her dart. "Or, at least, some danger. So we don't go into it fresh." "Hey, remember, I've killed a monster," said Jan, gesturing with his sock-flail. "It had old Grandmother Twee. Swear it was going to eat her." "Grandmother Twee," said Hork. "Is a mouse, and even she could have killed it with less effort." Jan scowled as they crested the hill. "Not like either of you have seen a monster," he muttered. "Hey, we may yet, tonight," said Dere. "Not likely, I say," said Hork, craning a glance at the tower. They were within the building's shadow, now. Nettles and the remnants of garden beds roughened the ground. "Asylum shut down a hundred years back," she said, kicked a tuft of spiny grass. "We know, Dear. But everyone in town hears the screams. They shut it down with the afflicted still inside." "'The screams,'" exclaimed Hork, exaggeratedly. "Are a wildcat getting shagged in the hills." "So this isn't a bad idea, then, naysayer?" Hork pursed her lips, looked at the tower's shadowed eyes. "Well, it can't hurt to be cautious." Jan perked up. "You know what people say about their lifespan." He pulled to the head of the group. The tower was a few strides away. Ivy nearly obscured the cracked stoop, the pitted door, the heavy bar set from the outside. Jan set down his bottle and weapon, set to work trying to lift that girded beam. He strained, groaned. "Help?" he pronounced, indignant. Dere flicked her cigarette away, joined him. She looked expectantly at Hork. The last girl made a show of cleaning her glasses before helping. Together, they lifted. Ivy snapped, slithered away. The beam creaked, shifted, tumbled to the ground. "Ick, it's left me splinters," said Dere. Hork frowned at the beam where it lay. "Someone's replaced it. That can't be a hundred years old." "Means there's shite inside," said an eager Jan. He gave the door a kick. It shuddered, skidded inward a few inches. Jan peered through the crack. "Shite, lads, it's the King of Mildew." Dere scoffed. "Come on, Jan. Kick it in like a real cutter." "Right." Jan wound up, gave the door another heel, staggered back. "Bloody stuck." He set a shoulder against it, pushed. The hinges shrieked. "Finally." Jan stepped back, picked up his rude flail, gestured to the door. "Pearls before porks," he said, looking to the girls. † Dere scowled at him, likewise extended a hand. "Brawn before beauty." Jan shrugged, pulled a candle from his pocket. A match snapped. The tallow sputtered. "Here we come, monsters," said Jan. He raised his sock, slipped through the doorframe. Dere paused behind, lit a new cigarette. She glanced at Hork, raised a brow. Doxbells floated over her eyes. "Future cutter?" Hork adjusted her glasses. "You two have fun." "Suit yourself." Dere disappeared into the tower. Hork idled about, kicked at some nettles. She looked out over town, watched candles flickering in windows, smoke beginning to rise from the bakery chimney. She looked up at the tower, watched bats flit about the windows. From inside, Jan called energetically. "Shite, Hork, there's bloodstains! You've got to see this." "My hayfever and I are perfectly fine outside the King of Mildew's Castle," yelled Hork. 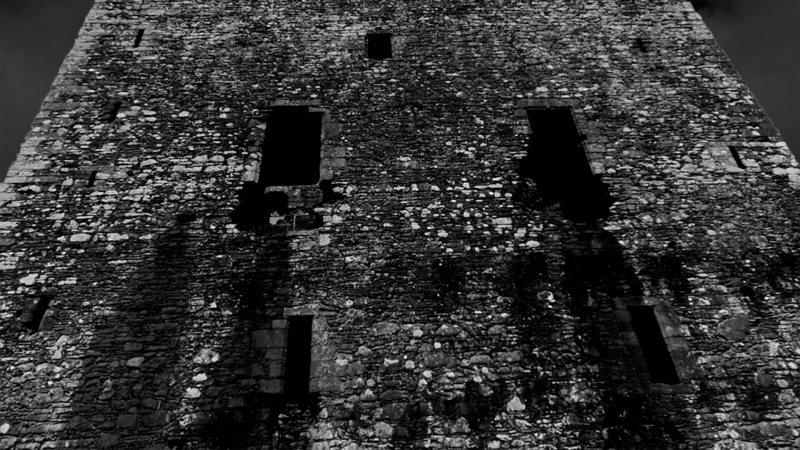 Squinting, Hork peered through the rotted brick doorframe. Some wooden structures were bare visible in the dark. She neared closer, put her head in the frame. Some weird scaffold lay on its side, just meters in the door. Manacles hung there, lay from lengths of chain. Some browned stain spotted the floor. Hork huffed, grimaced, moved to slip inside. Within the tower, there was a small shriek, Jan's voice. Then, a wet, heaving scream. It rippled in the night air; a forced, elongated bark. Hork stumbled back, clutched at her ears, fell. A crash and thumping footsteps emanated inside the tower. They neared. Dere appeared in the doorway. Hork screwed up her face. "I told you! I told you this place was…" she trailed off, staring at Dere. The girl was spattered face to knees in dripping, clotty red. "Banshee," she muttered, promptly fainted. Once upon a certain time of superstition, folk believed in a singular monster. An otherworldly, bloody-mouthed creature with a penchant for screaming. All who heard its cries would fear, for it heralded death. Folk had a name for this herald: Banshee. At dawn, it could be spotted by the lakeshore, washing the clothes of those to die. At noonday, it could be seen curled in the dim corners of barns, sharp knees tucked to brow, rocking, rasping doomed names. At nightfall, it'd be heard high in the hills, screaming through its bloody teeth. Those who died by the banshee's calling met no usual end. They were said to disappear. Only long after would they be seen, thin and bloody-lipped, transformed into later seasons' banshees. It was for this lineage they were named. In old the tongue of Lothrheim, they were baen sídhe, or "kin of the hills." While such a time of antique superstition is passed, the monster's name still lives on Coastal tongues. It now denotes the true herald of that ominous scream: Bansheeism. Many a hilltop is host to an old banshee asylum. ‡ These austere‡‡ buildings are repositories for wretched, sickened creatures. They are home to the lingering victims to bansheeism. Bansheeism is a slow, degenerative ague. It lingers for weeks before ever causing such minor pains as fever and restless sleep. Days later, it brings attacks of intense, barking cough. This is bansheeism's most definite symptom. The sickness quickens thereafter. Manic confusion occurs as bleeding abscesses form in the lungs. Behavior at this stage is typified by mad attempts at washing clothes spattered by gory cough. It is at this time that most pre-banshees are identified. Most will be banished to the nearest still-functioning asylum. ‡‡‡ Though this banishment is terminal, it is viewed as a woeful mercy. In their mania, pre-banshees refuse food and water. They grow emaciated, prone to stillness. The cough fades. Soon enough, mania gives way to torpidity. Banshees at this stage, for they are properly become banshees, are known to huddle in corners of asylum cells, knees to chin, breath rattling in fluid-filled lungs. Only if disturbed will they snap alert, viciously attack or flee. These moments of alertness are accompanied by a resurgence of cough. This cough, once a pained series of barks, becomes akin to screaming. Banshees heave, spew gouts of pathogenic blood through shredded vocal cords. This scream is bansheeism's defining symptom. It is also its mode of transmission. Banshee asylums were built to prevent this bloody transmission. By isolating those affected, it was thought bansheeism might be eradicated. Such an effort was necessary, as grey salt proved ineffective in preventing the sickness. § Thus, the banshees were shut away, often under the pretence that they might be later cured. Even this effort proved fruitless. Some hundred fifty years later, these asylums still stand. They loom, largely ignored, over quiet valley towns. Folk can ignore them, but they cannot forget, for on thunderous nights, they can still hear the cry of the banshee. Can we cram rabies, pertussis, and tuberculosis into one monster and call it a banshee? You bet. Can we write twelve footnotes in one article? Yes, yes we can. Fun fact: The author lives four miles from a large mental asylum built in the 19th century. Beautiful architecture, TB ward notwithstanding. * Spice tonic is a drink brewed from bark cinnamon and grey salt. Popular among young Firls. ** Draum is a frontier renowned for its venturing towns, many of which have seen great gains from the raiding of sorcerer's ruins. A romantic ideal for would-be cutters. A nightmare for those who are really there. *** Topples are the destructive, adult form of doxbells; the tiny dust-creatures which hatch from pepperelle smoke. † Porks are small, soft bodied rodents. They team in the gutters of Coastal cities. Southerners consider them disgusting, dirty-footed pests. Northerners do as well, but they also fry them on sticks and eat them. †† Typical banshee tales originate from the sparsely-forested, hilly regions near Lothrhaim. ††† For the most part, it is passed. There are certainly villages where the myth of the baen sídhe has not yet been converted into fact. ‡ For whatever reason, banshees are supposed to be more comfortable, more sedate at higher altitude. ‡‡ Though it is typical, austerity is by no means the absolute rule in asylum construction. Some larger mountain facilities were particularly opulent. Some still accept patients, today. 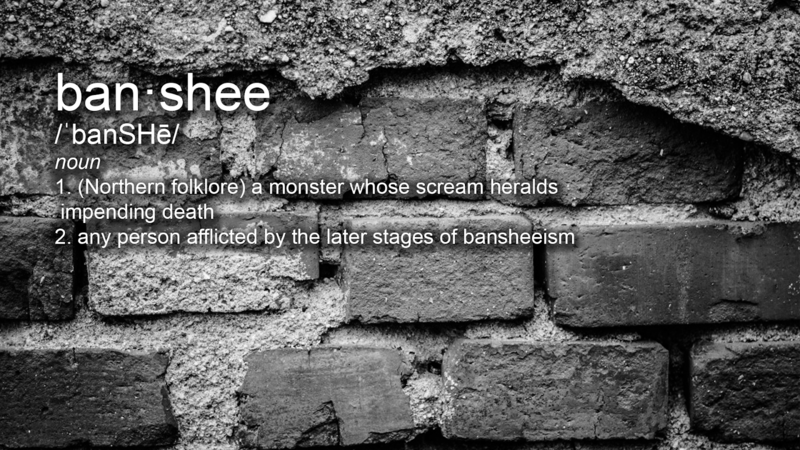 ‡‡‡ Bansheeism was last epidemic some hundred years back. Only now is a resurgence occurring. A surge in reported cases of bansheeism has forced many asylums to be founded or (dangerously) reopened. § Bansheeism, like pox, is a virus. Grey salt is effective only in banishing bacterial and fungal pathogens. §§ Despite their monstrous condition, banshees were (and even are) still regarded as people. Asylums often operated under a pretence of rest and future rehabilitation. Extermination was, in any case, terribly dangerous. Only today's cutters are sufficiently mad or uncaring to murder the previous century's banshees. §§§ But rot, they do not. A torpid banshee will, if given enough time, become sufficiently active to scrounge up sustenance. Every year or so, they crawl from asylum windows for a night of gorging. Whether they dine on stolen bread or human flesh depends only on what is most available.